« Here comes the cold front! The front is forecast to move through Kansas City between 2 and 3 PM. Thunderstorms may not form until after the front races by, so the chance of thunderstorms is highest south and east of Kansas City later today. But, they could form a bit earlier and we will be tracking this all morning on NBC Action News. Remember we are the only station that is on with weather updates from 4:30 AM through noon every weekday morning. 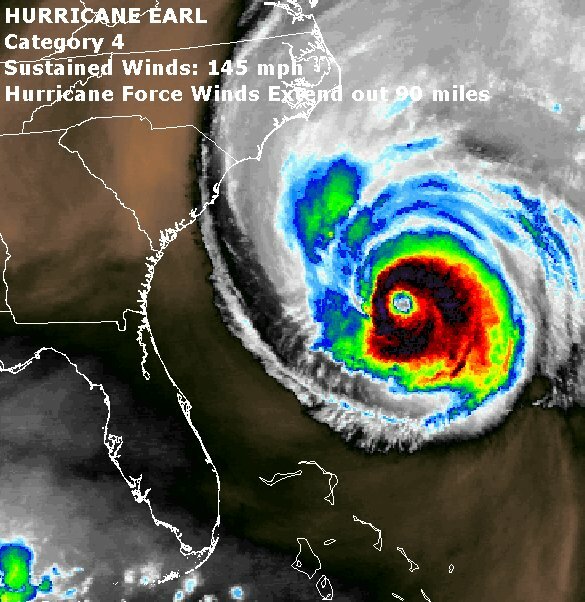 Have a great day and thank you so much for stopping by our Action Weather Blog. Let us know if you have any questions as we share the Kansas City weather experience. Such a usability improvement. Gary, I think it speaks boatloads about your commitment to your listeners that you stood up and made changes that you knew were needed to keep your audience. Thank you so much. I think it is better than our original blog and we are still learning about some of the feature that can make this the best experience for all of us. Have a great day. My part of town had one of the lower amounts of rain, but still a bit over an inch. Gary, again much better blog format. FYI, in Rock Port last night we received almost another 2 inches of rain bringing my total this week to nearly 6 inches. This is after very little, less than probably an inch total, for the month of August until the 31st anyway. I just can’t believe that. I mean, I can believe that, but I wish my house would have had at least 2 inches of rain. Again the south side got missed last night. Thanks for the update. Blog looks great Gary. All this wet weather is just what we needed going into Sept. Lots of seed going down after the the summer stress. Does Sept. look dry and warm, or do you see periods of rain like the one we are in now? I see a lot of chances for thunderstorms in the next two weeks. September is often one of the wetter months of the year, so I am expecting it to be above average on rainfall in most areas with this pattern we are in. Gary, it is a little weird to me that a major hurricane can be considered weaker than a trough. Why is that? When would you expect one of our first true “fall” fronts to make it through? New blog looks very nice and appears to be much more user friendly. Now if we could only do something with the tire ads at the top AND the bottom. JoCoMike: Try Firefox with Adblock – works like a charm! I DITTO the FIREFOX, I never ever see adds. Plus it has many more features to improve your browsing experience! THIS PLUG BROUGHT TO YOU BY FIREFOX! THE IE alternative. I cannot agree more about Firefox. Done and done. Thanks for telling about Adblock through Firefox!! No more Ads!!! Thhis is awesome Gary! It’s fun to see the blog and posts like this is. Seeing your responses and others to a comment is so nice. Loved the original blog but this is really a step up on it! Regarding weather, I agree with MowerMike. This rain and cooler weather is awesome. I can’t believe the Rockport area has had 6″ in a few days though. Wow! I’ll take the 2.4″ I’ve had. Lots of grass seed going down in front half of my yard. Come on cooler days and nights! Thanks again Gary, Jeff, Brett, and George! Like the new blog much better! Just in time for the craziness of winter! Woohoo! I’m not sure if you know this or not but the link to the blog on the main weather page still goes to the old blog. I really love the new blog by the way! Thanks for the heads up on the link. Will be correcting it shortly. G-man: Much, much better. Thank you for fixing. The 10:00 surface obs show the front at about Beatrice Neb. About an hour behind schedule. Maybe our storm chances are increasing? Need all the rain we can get here in Lenexa! Gary, Thank you for listening and working on upgrading the blog. This is sooo much more user friendly than the last version. When do you think you’ll start the snowflake contest??? Can’t come too soon for me!! Have a great day!!!! In comparison to the last few tries, this new blog format is great. In comparison to what the blog used to be, I will reserve judgment. Lots of things can be improved here. How about a way to sort entries (earliest, latest)? How about rating posts? How about reporting content? This blog will go back to the trolls before you know it unless you’re going to police it. We are moderating the blog closely. So, yes it could still have some trolls, but with this new format it will be easier to control it. I am with Deer Hunter! The blog should go recent posts at the top not the bottom. Otherwise, this is way better! 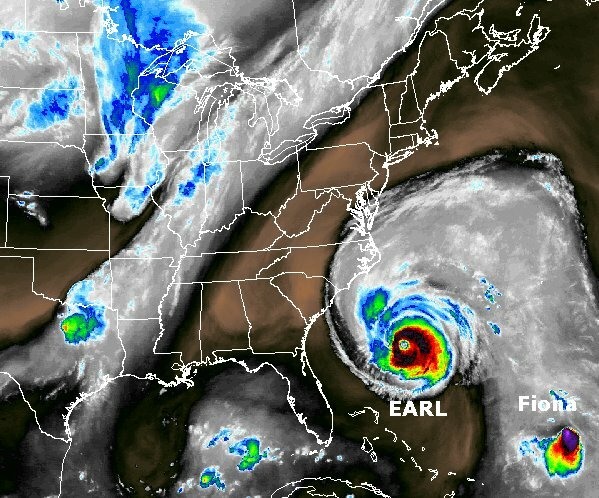 Earl looks to skate along the east coast: What is keeping the storms out of the Caribbean and Gulf? I like the new blog: how do you get a photo or image next to your name? You have to connect and sign in with Facebook. MsGardner would like me to share the fact that she cannot post here with her IE 7 and does not want to have to change to FF just to blog. I have IE 8 and I have numerous problems with posting and I also do not wish to change browsers. With all the improvements to the blog, browser incompatibility should not be an issue.